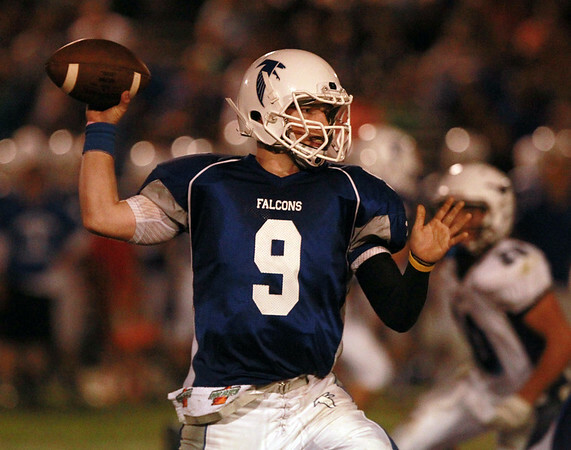 Danvers senior captain Nick Andreas (9) drops back to pass against Peabody on Saturday evening. DAVID LE/Staff photo. 9/27/14.